We feed our bodies from the inside out, so why not target our complexions the same way? 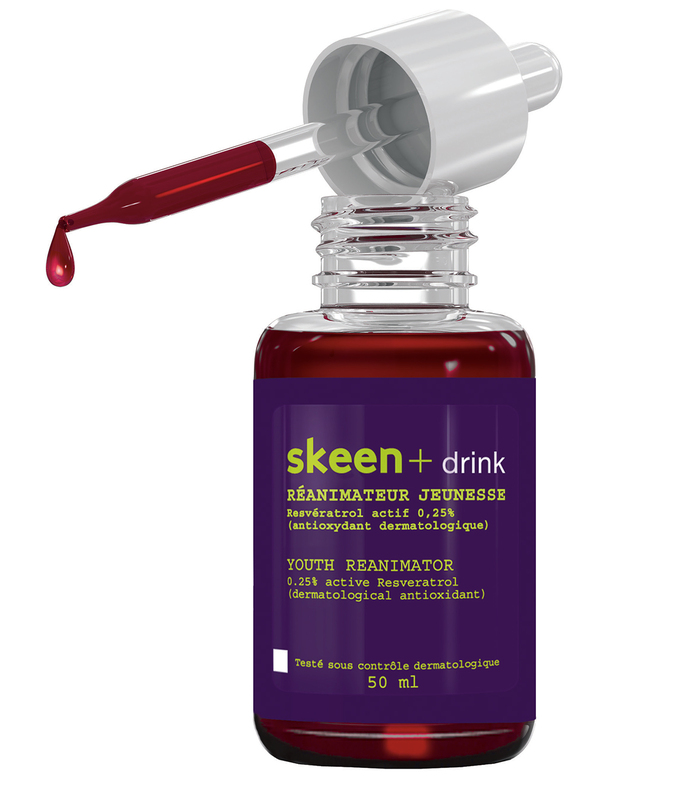 Enter French skin-care company Skeen+, whose Skeen+ drink extracts the antioxidant benefits of grapes into drinkable, pipette-size doses. The alchemic liquid, new to their line of men’s skin solutions, contains green tea concentrate and vitamins A, C, and E, and when ingested, it helps reanimate and detoxify the skin with the help of dermatological antioxidant resveratrol. Slightly sweet with a bitter aftertaste, it can be mixed with water for an easy sip towards great skin.